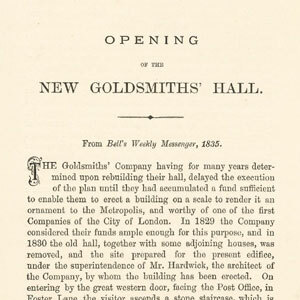 A leaflet on the opening of the new Goldsmiths’ Company Building in 1835 found inside George Lambert’s copy of ‘Memorials of the Goldsmiths’ Company’. The leaflet may have been preserved by Francis Lambert. previous post: EDWARD ALDRIDGE I SILVERSMITH.